The feud between MDC leader Nelson Chamisa and MDC-T president Thokozani Khupe resumed yesterday, after the ConCourt heard the matter in which the ex-Bulawayo Metropolitan Province MP is challenging her expulsion from Parliament. The legal feud for control of the MDC-T is far from being resolved. Dr Khupe, who was the MDC-T Proportional Representation Member of Parliament, was expelled from the august House last week after controversially installed MDC-T leader Advocate Nelson Chamisa wrote to the Speaker of Parliament, Advocate Jacob Mudenda, claiming that she no longer represented the opposition party’s interests. Dr Khupe is being represented by Professor Lovemore Madhuku. 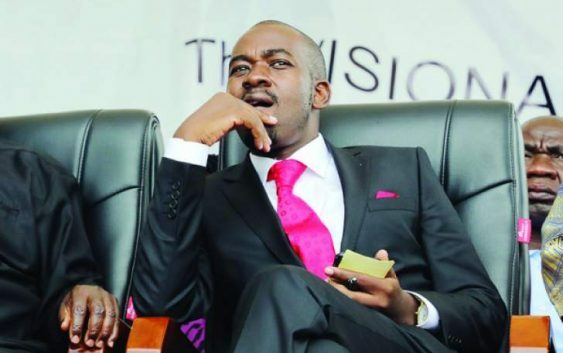 Mr Chamisa, who has had a nasty fall out with Dr Khupe over the leadership of the opposition party, especially after the death of party leader Mr Morgan Tsvangirai on February 14, last week recalled Dr Khupe from Parliament after MDC-T’s national council — regarded as the opposition party supreme decision-making organ in between congresses — unanimously agreed to expel her from the party. Dr Khupe was accused of misconduct and intransigence. The MDC-T drama took a new twist, a day after Mr Chamisa wrote to Parliament, when Dr Khupe – who still claims to have been the legitimate leader of the MDC-T – wrote a letter ostensibly recalling Mr Chamisa as House of Assembly member for Kuwadzana East constituency. In her letter, Dr Khupe advised Parliament to expel Mr Chamisa in terms of Section 129(1)(k) of the Constitution. “This letter serves to formally advise your office that Hon Nelson Chamisa is no longer a member of the MDC-T party that is currently led by acting president Thokozani Khupe,” read the letter.